Definition at line 216 of file llcompilequeue.h. Definition at line 727 of file llcompilequeue.cpp. Definition at line 731 of file llcompilequeue.cpp. Definition at line 715 of file llcompilequeue.cpp. 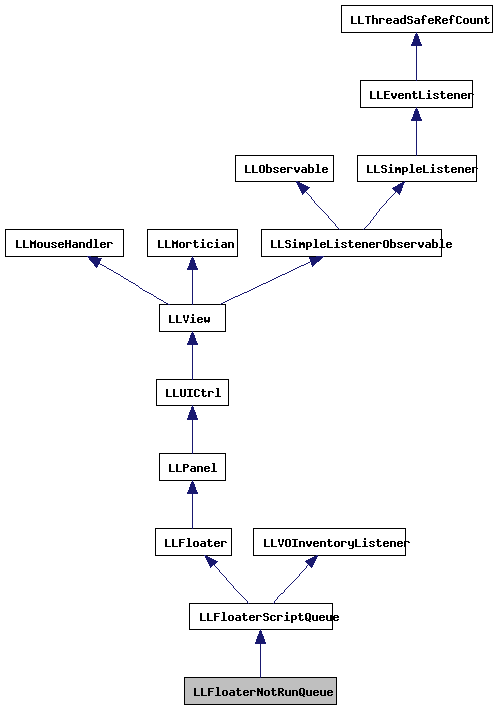 References LLFloaterView::getNewFloaterPosition(), LLControlGroup::getRect(), gFloaterView, gSavedSettings, left, LLFloaterNotRunQueue(), LLRectBase< Type >::mLeft, LLRectBase< Type >::mTop, LLFloater::open(), S32, top, and LLRectBase< Type >::translate(). 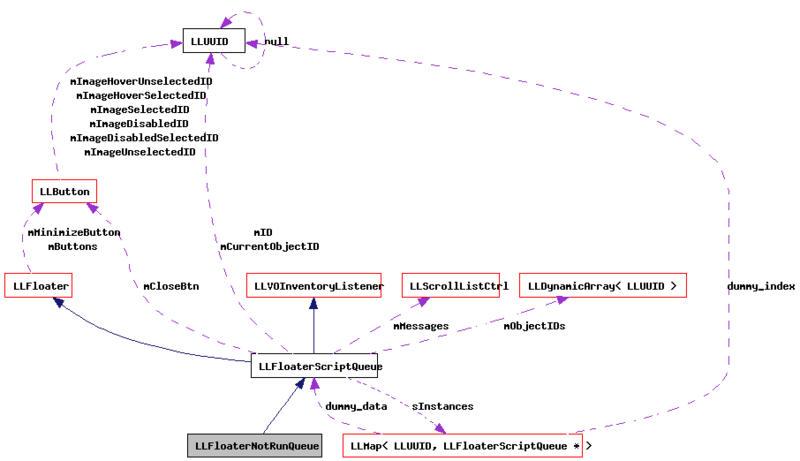 Referenced by handle_set_not_run_selection(), and LLToolsSelectedScriptAction::handleEvent(). Definition at line 735 of file llcompilequeue.cpp. References _PREHASH_AgentData, _PREHASH_AgentID, _PREHASH_ItemID, _PREHASH_ObjectID, _PREHASH_Running, _PREHASH_Script, _PREHASH_SessionID, _PREHASH_SetScriptRunning, LLMessageSystem::addBOOLFast(), LLMessageSystem::addUUIDFast(), LLAssetType::AT_LSL_TEXT, end, FALSE, LLViewerObjectList::findObject(), gAgent, LLAgent::getID(), LLViewerObject::getID(), LLInventoryObject::getName(), LLUICtrlFactory::getScrollListByName(), LLAgent::getSessionID(), gMessageSystem, gObjectList, list, MAX_STRING, LLMessageSystem::newMessageFast(), LLMessageSystem::nextBlockFast(), LLFloaterScriptQueue::nextObject(), and LLMessageSystem::sendReliable().